Hamm Chemie develops and manufactures high quality chemicals with high user benefits. For this reason every product – from the application aid to the patented chemical formula – is subjected to a sophisticated management system that is internationally recognised with ISO certification. 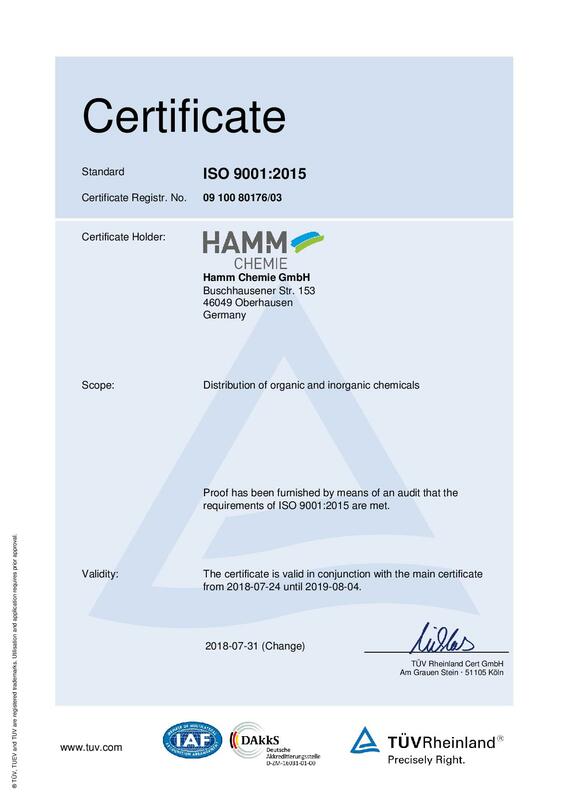 As a manufacturer of chemicals, Hamm Chemi also produces in strict accordance with the German Chemicals Act (ChemG). 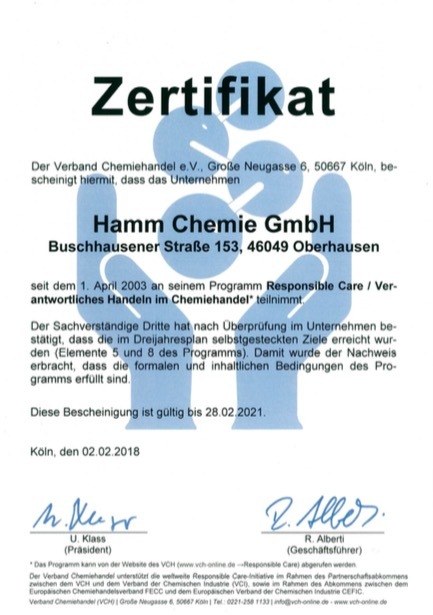 With this aspiration for quality, Hamm Chemie far exceeds the required quality standards. Environmental factors are also an integral component of the organisational and operational activities of the company. Regular internal and external audits also monitor and assess our environmentally friendly operations.